Our staff is composed of caring, kind, and compassionate people with lots of experience to help win the day. They are qualified to give our residents the best assisted living experience possible. You’ll love the almost 130 years of combined work experience that you see in our staff leadership. Dr. C. Herschel Gammill was born into a pastorium in rural southern Mississippi on October 16, 1942. At age 17, he accepted his personal call into the ministry. He began ministry on street corners, to prison inmates, and conducting revival crusades. He enrolled the following year at Lee Bible College in Cleveland, Tennessee; he later received his Doctorate of Divinity from Vision University. However, it was at Lee College that Herschel met his future wife, Gail. Prior to their marriage, they worked together, ministering to teen gangs and drug addicts on the streets of New York City with David Wilkerson in the Teen Challenge Ministry. Dr. Gammill was also received an Honorary Doctorate of Divinity from Logos Graduate School. After college, Herschel traveled as an evangelist and ministered in multi-denominational settings. He has ministered at major camp meetings, conferences and crusades from coast to coast and in over twenty (20) nations of the world. He has had an extensive television and radio ministry for over twenty-three (23) years. Over the past 40+ years, he has established, built, and pastored seven churches in Utah, New Jersey, Alabama, Illinois, and Ohio. In August of 1974, the Gammill family came to Canton, Ohio to pastor the Canton Temple Church of God. In October of 1981, Bishop Gammill felt directed of God to withdraw from his church denomination and start a new church. Thus, the Cathedral of Life was born. Cathedral of Life is an interdenominational, interpersonal, and interracial church founded on the inerrant Word of God. It was established as a Bethesda meaning: House of Mercy. On November 18th, 2000, Dr. C Herschel Gammill’s twenty-year dream of building a Senior Assisted Living Community became a reality. He is the Visionary and President of Cathedral of Life’s Inn at Belden Village: a multi-million dollar work of faith that’s design and philosophy of care are second to none. The Inn earned the distinctive honor of being selected as the Jackson-Belden Chamber of Commerce’s Small Business of the Year in 2001. Dr. Gammill, Aphesis Inc.’s 1999 Pastor of the Year, brings to the pulpit an unmistakably God given authority. His apostolic anointing, prophetic ministry, Evangelistic alter-calls, and Teacher’s thoroughness were always balanced by his over-whelming gift of Mercy and Grace manifested in a true Pastors heart. He is a man who gently, but firmly asks you to grow, as he himself continues to do so. Dr. Gammill authored a book entitled Covered Not Concealed, dealing with restoration and healing. Though today, he is experiencing first hand, the ravages of memory loss, he continues to compassionately minister through kindness, prayer and scripture reading in the Special Care Memory Community at The Inn at Belden Village, daily. The vision that God set in his heart, to care for the elderly as they so deserve, continues to ignite passion in his family’s heart to do just that. He is still teaching his family daily as they walk him through the challenges dementia presents. They will be forever grateful for the legacy he has created through the faithfulness of God. Dr. Marshal Dana Gammill is the Senior Pastor of Cathedral of Life Ministries, Inc., an independent, non-denominational church. Dana co-founded The Inn at Belden Village with his Father, Dr. C. Herschel Gammill and Joseph Langworthy in 1999. The Inn at Belden Village was his Father’s vision and now his home. The Gammill family now understands, personally, the challenges families face when caring for their loved ones with dementia. Dana’s ministry began alongside his father, preaching as a teen. He then served as Music Ministry director for Oral Robert’s University and led Oral Robert’s Music Ministry teams as they evangelized across the United States and throughout Mexico. Along with pastoring, he regularly speaks at churches and conferences across five continents. His weekly television show and daily radio broadcast, “Successful Living”, reaches a wide spectrum of people . 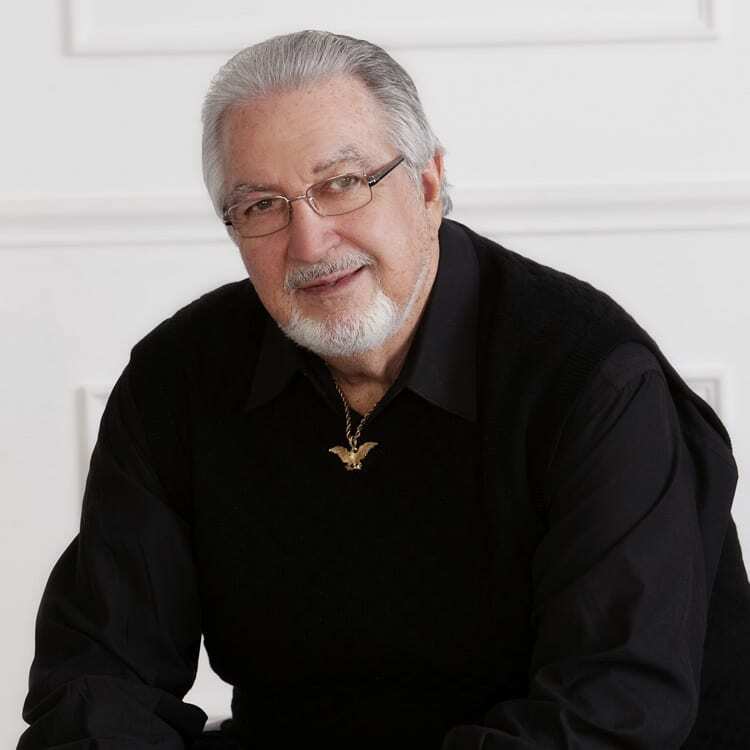 “Keys for Successful Living,” his weekly devotional is circulated to more than 100,000 homes a week in The Canton Repository and he is also a regular host of the Trinity Broadcasting Network’s local talk show. He currently serves on multiple boards in the community including serving as President of the Board of Education for Hope Academy, a school of over 300 K-9th grade students with a multi-million dollar budget; the Board of Education for Life Skill Center of Canton, a high school alternative enabling young people 9th-12th grades to achieve their G.E.D. ; and as board member for the Board of Director’s for Guardian Support, an organization that gives oversight to indigent senior citizen’s as well as to the mentally impaired who have no guardian. He serves on the leadership team for A.C.T. “Alliance for Community Transformation and participates in other ministerial associations throughout the community. Dana resides in North Canton and enjoys serving the Lord with his wife and family. Joseph Langworthy, Manager and Co-Founder of The Inn at Belden Village and faithful member of Cathedral of Life Ministries, Inc., has provided valuable leadership and oversight to The Inn at Belden Village since its inception. Joe is also the President of Langworthy Company , a company founded in 1983 as a management consulting and investment banking firm assisting venture capital startup companies and providing turnaround consulting to struggling businesses. 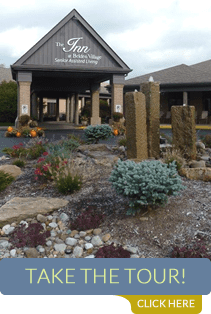 Langworthy Company entered the senior living residential care marketplace in the mid 90s and assisted in the development of The Inn at Belden Village in 1999. In addition to overseeing The Inn at Belden Village, Joe is a market analyst providing market study and financial forecast services; design – build- development advice. 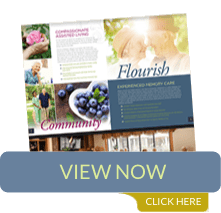 Langworthy Company is a full-service senior living consulting firm we can provide assistance from an initial seniors housing concept through market study, construction, integrating internal operating systems, staffing through grand opening. In addition to Joe’s extensive experience in finance and Senior Living, he also understands, first hand, the challenges of caring for a loved one suffering with dementia. 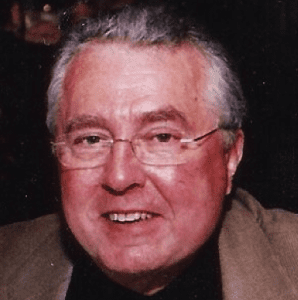 Originally from Maine, Joe currently resides in Canton Ohio where he enjoys spending time with his lovely wife, three very talented adult children and grandchildren; and golfing in his spare time. Nan Gammill, Executive Director and wife of Senior Pastor Dana Gammill diligently with Dr. C. Herschel Gammill and Pastor Dana Gammill in founding The Inn at Belden Village for Cathedral of Life Ministries, Inc. in 1999. 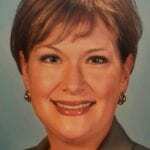 Nan graduated with a degree in Elementary Education from Oral Roberts University then did post graduate work in Administration at both Kent University and Malone College. She received her training in long-term care from The Inn’s Management Group of Newark, Ohio. She is the proud mother of three wonderful children and loves playing the piano, singing, the outdoors and most of all, the privilege of serving as Executive Director of The Inn at Belden Village and administrator of Cathedral of Life Ministries. She considers it a privilege and honor to serve the wonderful residents. It’s not just a job to her, it’s her passion and her mission. 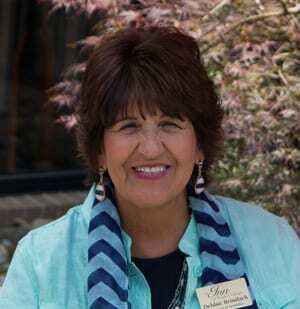 Deborah Sims has served as The Inn’s Business Director since it opened in November 2000. 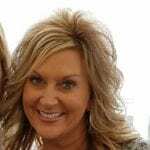 She received her business training at Stark State College and prior to coming to the Inn owned and operated her own business, Integrity Bookkeeping Services. Her integrity and character reflect in all she does at The Inn. Deborah oversees human resources and assists residents and their families with their billing. 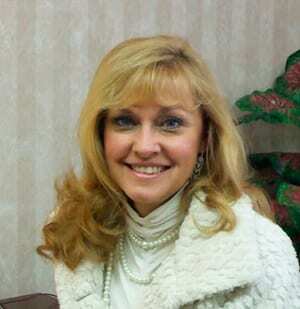 Her hobbies include teaching line dancing, singing and serving actively in her church. 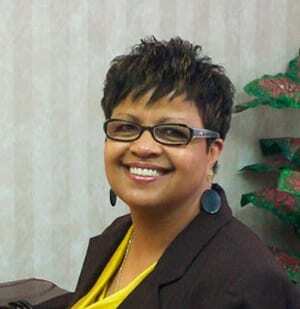 Deborah’s favorite thing about working at The Inn is the atmosphere: its Christ centered focus and care driven mission. She’s proud to be part of a team the really cares for their residents. Johna Purvis came to The Inn at Belden Village in September 2017. She studied at Harcum Jr College in Bryn Mawr, PA; and Malone University in Canton, OH. Johna has over 25 years of Sales experience and has been a volunteer for Hospice for the last 10 years. Johna has a true passion and love for seniors and treats our residents like they are all her own grandparents. Johna enjoys spending time with family and friends and giving back to the community. In addition to being a Hospice Volunteer, she is a member of the Alzheimer’s Association, The Canton Rotary, Women Initiative Network and The Senior Network Service. Heather Hoffman RN, BSN is the Director of Resident Services and a Certified Dementia Care Practitioner for The Inn at Belden Village. She received her RN degree from Walsh University and Bachelor of Science in Nursing from Malone University. Heather has over 20 years’ experience working in hospital settings specializing in oncology, and home health care. In her spare time, Heather enjoys cooking, flower gardening, reading, and most of all spending time with her family. She knows how important it is to have fun in your life and enjoys helping others to enjoy life as well. Heather takes great pride in the nursing team at The Inn. The nursing team truly cares for each and every resident with the utmost dignity and respect. Debbie Brindack has been in charge of activities at many area communities and churches for 35 years. She comes to us with tons of experience and creative ideas that translate into joyful experiences enjoyed by all of our residents. Licensed to train activity directors throughout the state, Debbie has additional knowledge and experience with dementia residents and their needs. Debbie also has a background in music, theatre, art and interior designer; she loves taking on the challenge of redesigning a home’s interior. Debbie says her mission in life is to make sure the elderly have the best quality of life possible. Her fun loving spirit, not unlike “Lucy’s”, fills The Inn at Belden Village with fun and laughter everyday. 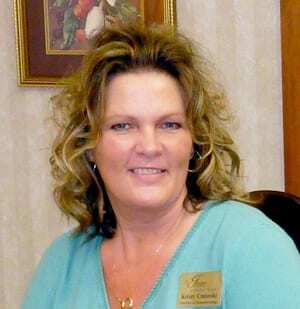 Debbie resides in Canton with her husband, Bill, and has 2 grown children and 6 grandchildren. Chef Joseph (Joe) Stranan’s interest in cooking started at a young age. His childhood was spent watching his parents cook delicious meals for their large, Italian family. To the Stranans, cooking is a passion done with love for family and friends. Many of Chef Joe’s recipes today stem from recipes that have been handed down to him through generations of Stranans. 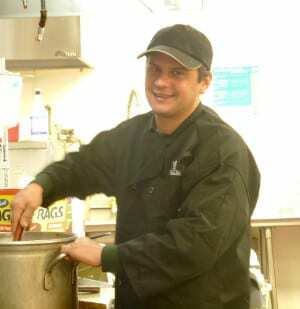 At the budding age of fifteen, Joe decided that he would follow his passion and choose a career where he could cook for the rest of his life. He then embarked on his journey by working at local restaurants and studying other chefs’ techniques. From Americana-style food to ethnic delicacies, Joe has long been combining recipes and making them his own. 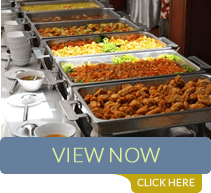 Armed with years of experience combined with the innate ability to manage kitchen staff and servers, Joe took the position of Executive Chef and Kitchen Manager at Carrabba’s Italian Grille in Youngstown, Ohio. Joe worked in that position for eight years before coming to The Inn at Belden Village, which put him closer to home. Chef Joseph has been with us for two years and has grown to love the residents and delights in treating them to his special recipes! In his spare time Joe loves to go fishing and vacationing with his four children, ages seven through eighteen, all of whom have inherited the family culinary gene! John Thompson has been in the construction and maintenance fields for over 28 years and is known for his exceptional and diligent work. John hails from Toledo where he began his work in the construction industry before moving to Canton. 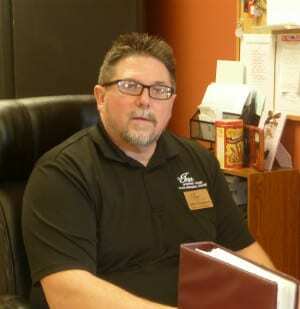 John is highly skilled and has extensive experience overseeing facilities, maintenance and grounds. To say John is the “backbone” of our Maintenance Department is an understatement. He handles all aspects of the building including heating, cooling, plumbing, appliance upkeep, upkeep of the common areas and resident rooms, as well as setting up for events. Although not part of his job requirement, he is often called upon by residents to assist with minor repairs to their personal items. He wins high praise from our residents for always making time to hang pictures or make adjustments in a “problematic” remote or walker. With years of pastoral experience, John offers our residents a listening ear and always makes time to pray with them if asked. “My overall intention as the Director of Maintenance is to improve the building as well as maintain the ongoing repairs and requests in a timely manner and always to the satisfaction of the resident. Motivation is a big part of who I am and I strive to do better every day,” says John. In addition to being an excellent team player, John is a devoted husband and father to his wife and their beautiful daughter. Family is very important to John. Kristy Uminski has faithfully served in housekeeping at The Inn at Belden Village for nearly 14 years. Her team is spoken of with fondness, and when residents are asked if they have concerns or improvement recommendations for her department, they fondly respond that “You can’t improve on perfection!” Kristy cares deeply about every concern the residents have and aims to please. Since becoming the Director of her department two years ago, she’s developed a team around her that serves with the same excellence she does. The Inn is blessed to have her. Kristy, granddaughter of two pastors, is proud to work for a faith-based community. She is the loving mother of two daughters and enjoys spending time with them and her dear mother. She has come to have a lot of respect for the elderly working with them over the years and seeing what her mother has endured as she’s aged. She enjoys doing anything she can to make their lives easier and more enjoyable.